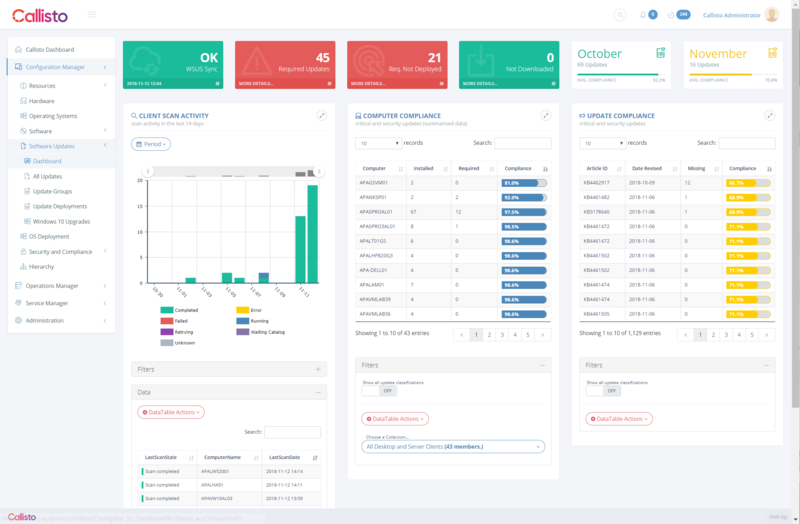 The Callisto top-level Software Updates Dashboard is designed for management and technical staff to have visibility at a glance of the Software Update environment. The top-level dashstats show several key metrics and all are clickable. The health status of the software update point, last sync time and status are shown. A count of required updates, a count of the required updates which are not deployed and any that are deployed but not downloaded (as this may indicate a configuration error). 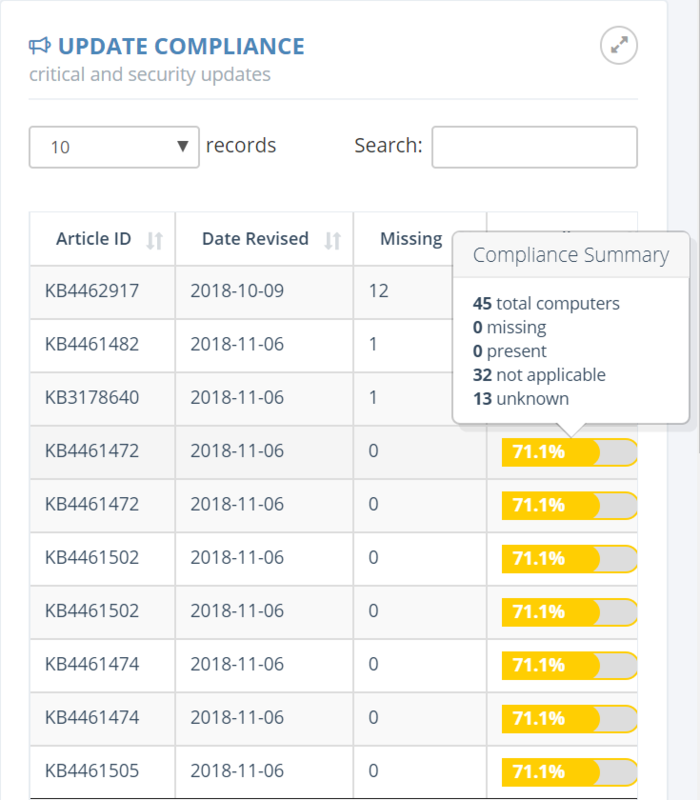 We also show compliance charts in the last month and this month critical updates dashstats along with traffic-light colour compliance for the environment against these updates. The client scan activity bar chart shows the scan health of clients over the selected period (default 14 days). We expect to see a similar view to the example shown here, with clients frequently and successfully submitting healthy scan status. The datatable below shows each machine in the environment and its latest scan status. As with all datatables in Callisto this can be filtered and exported for further analysis. The centre and right hand columns show compliance data. The centre column shows computer compliance, with the least compliant machine shown first. This table can be filtered by collection. 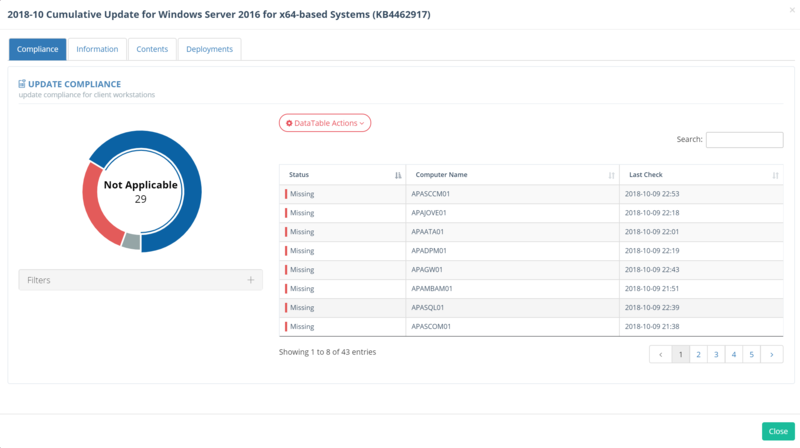 Clicking any client machine will show the device modal with the focus on update compliance. 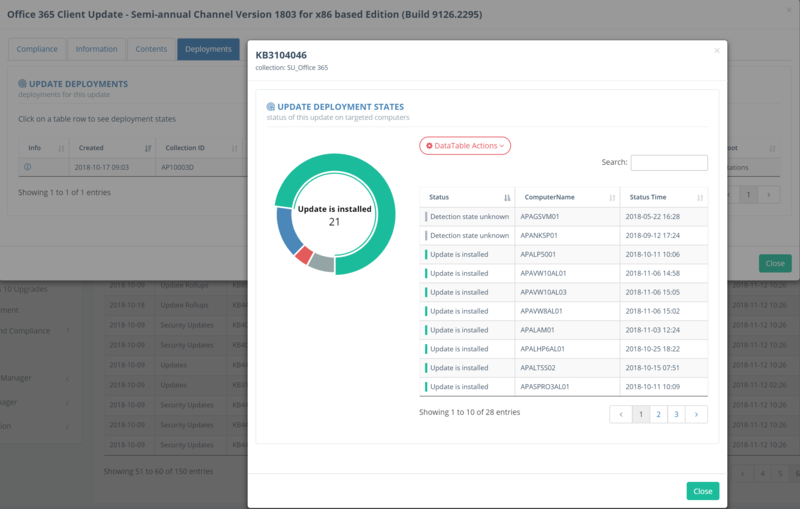 Clicking any update will show the specifics for the update along with additional data about its purpose, content size and locations and any deployment data.